Sometimes we may have things in our mind that we need to do and in a certain time because of course there should be agendas for everything. However, for everything that we need to do, there will be a hard beginning or start should I say and this is normal, and it will be happening so many times in our life. I've been posting a lot about entertainment lately, and I thought it will be a good idea to bring you something different and inspiring. Life will be amazing if we can think of it as three things, entertainment (even while working), inspiration, and the last one is progress which we all do everytime we do the previous ones that I mentioned, this just is my opinion, you know. We may need to take work so serious sometimes, but that doesn't mean it has to be with no entertainment. No matter what is that you are working on whether it's a long work which can take up to 8 hours and more or just normal short work, there should be something that is more fun included because it always helps us to keep going and enjoy it in the same time. I've always been that person who would joke during a serious work with family or friends because not sure how can jokes works with people that have no one around haha. I mean it wouldn't be good if we only have one option, you know. You are not limited when it comes to enjoying during anything and any time. If you would ask me what is the only one thing that doesn't become boring when doing for a long time is having fun. I know that I'm smart haha, thank you. By the way, if you are wondering why I haven't posted a full week for the past two weeks is because I'm trying to figure out a new serious which can be posted consistently and be fun for the readers. However, this idea is wrapped with 'still under construction' tape, haha, but I will make sure it will be happening soon in the future, and it will be so much fun because I don't want it to be like after a long time. Hopefully, I will manage to start it in the next couple of weeks if I don't have to face any roadblocks. Anyways, I'm not sure if anyone wants to know about work and everything because that is kinda boring. However, what I will be talking about here is some of the things which helps me to keep going when I feeling like there is nowhere to go or anything to do. I can say this happens to almost every person who struggles to start whatever is in their mind. Hopefully, you will find it inspiring and helpful, but I may add some fun to it, get ready haha. It can be a reason for you to not do or complete whatever you want to do when you get stuck in the middle of the process, for example, you ran out of ideas for the next post if you are a blogger or maybe give up on finishing the building of a house made with logos for your kids or any relatives if there was little mistake that changes the entire thing and you have to finish it. I mean of course building house is the easiest one, but it was just used as an example which supports the idea which I'm talking about, you know haha. Sometimes you may find yourself trying to find an idea for something among a lot of ideas that you have been going through in your mind. Also, this applies to the process of looking for the right piece of a logo that you want to put to which can help you complete the construction or whatever you do. It can be for so many things in our life and sometimes, we just let ourselves swim into these ideas and get lost which then can cause you to stop the progress. You can save a lot of time when trying ideas instead of just keep looking for the perfect idea for your project or whatever that you are doing. However, there is even more time could be saved when thinking a little bit before trying anything because again keep trying different ideas or things wouldn't be the right choice if you want to finish as soon as possible, and here we reach to what I want to say haha. If you are feeling lost in a sea of ideas or anything similar, don't freak out or keep going because it won't lead to anything. Sometimes we need to take it into more than one part to helps us figure out the right idea. For example, if you are trying to do a new list of your goals because for some reason, you thought that your old list wasn't' perfect enough. The first part is having a specific aim for what you want to get done and then move to the next part of setting goals for it which are organizing tasks and goals and more. This way it will help you to keep organized which will save you time. Also, I would like to prove that it applies to everything and I will take the logos as a second example because I mentioned earlier in the post. Let's say that your kid wants you to help him build a big house with logos and after a few minutes, there was a piece of the house which got you confused about what to do next, this probably happens few times haha because as an adult we keep it organized with clear steps. Anyways, you would first have a long look at the house, and then the second part which will be looking for the right one and so on. However, there might be a third part where you take the piece and see if it will be the right piece or not. This is what I mean by parts. You may call it steps, but sometimes for fun, you can say it as part because it can be step one or maybe it can be included in each part haha. However, there will be times when you have everything, but you can't start. This happens to me a lot where I have the ideas and I get stuck at starting the process which then leads to me not doing anything at all. 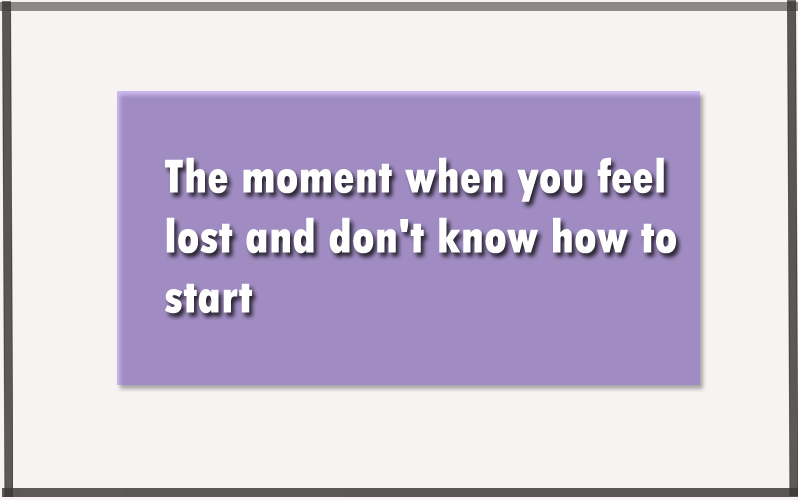 If you ever stumbled in this situation, don't keep thinking of a start or how to start because no matter where you will start, eventually, you will end up where you want to be and this is true. 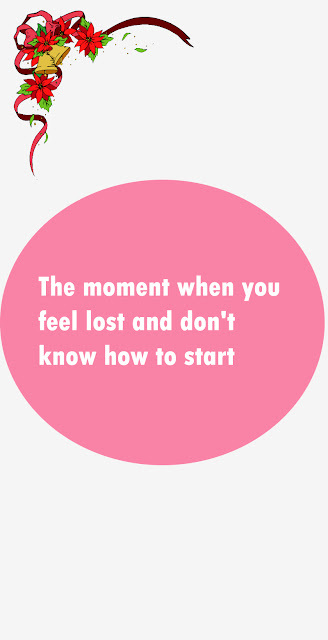 You will find that everything comes together when having the initial step, maybe there will be new things that couldn't be found when you were thinking of a start and be surprised. If you ever have an argument with your mind doubting about yourself, remember that you are amazing and strong. It doesn't matter what you go through, you are STRONG and will get everything done, never doubt yourself. I believe in you and there is no place for giving up or stopping from going after your big goals, dreams, or even projects. Stay positive and always remember to smile. I've been reading posts for the weekend and I found some inspiring bloggers in the community and I would like to give a shoutout for my fellow blogger John Sennett, he is an amazing inspiring blogger and you can go check his blog here. Keep the good work buddy! I hope you enjoyed reading through this post and maybe giggled a little bit haha, I'm still trying to make my way there. If you want to keep up with my future new posts and keep supporting me and my blog, subscribe to the blog in the box down below and I would appreciate that a lot. Have a great day and Monday filled with amazing stuff.